When the 62nd Grammys roll around in 2020, and Reggie ‘N’ Bollie are busy beating Beyonce to win Album of the Year, think back to January 20 2016 – the day they were signed to Syco. Oh yes, our favourite EVER X Factor contestants have signed to Simon Cowell’s illustrious label, one that also houses that little-known indie band One Direction. Proving that God (aka Simon Cowell) really does answer our prayers. It was so good that even Liam Payne turned up to have a dance to their version of WMYB. Say what you want about that show, but it’s one of the greats when it comes to building SERIOUS fan bases. You know, that one magical week when Simon was off with a cold and they sang Only Girl (In The World). Neither came first, but Reggie ‘N’ Bollie technically did BETTER than 1D, so basically they’re going to be doubly as good. 6. OH, they’re just a bit of a laugh aren’t they? 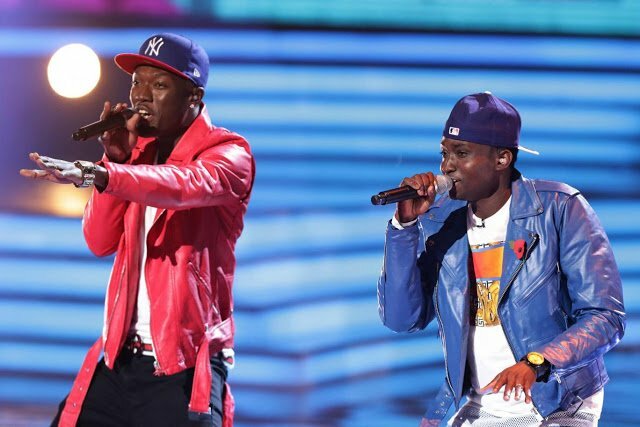 Amongst all the emotional ballads on X Factor, Reggie ‘N’ Bollie were just a lot of fun – which totally reminded us of the fetus days of One Direction. 1D have never collab’ed with ANYONE on a song, something we’ve always found insane. But Reg ‘N’ Bol have already got a Craig David team up under their belt, and so surely the natural next step is a debut single featuring Justin Bieber. RIGHT?